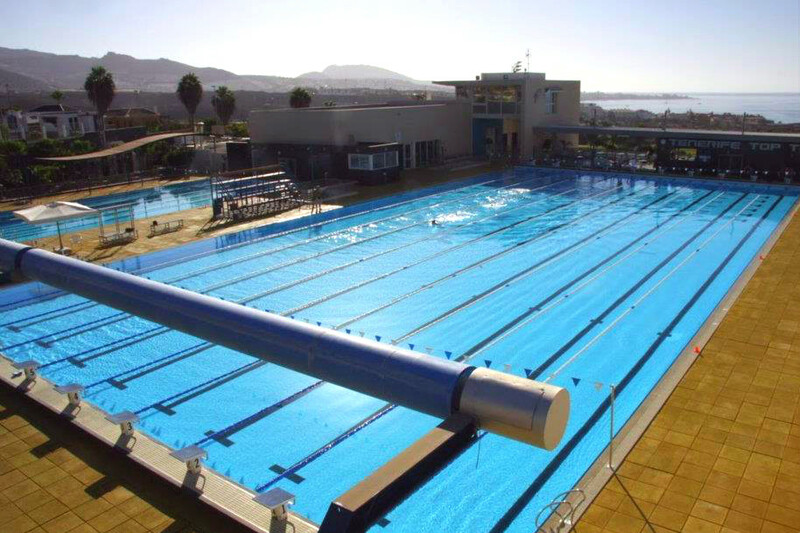 The pool-area has two temperature-controlled outdoor swimming pools with a constant temperature of 27ºC,which make slipping into this high quality water the experience of a lifetime. 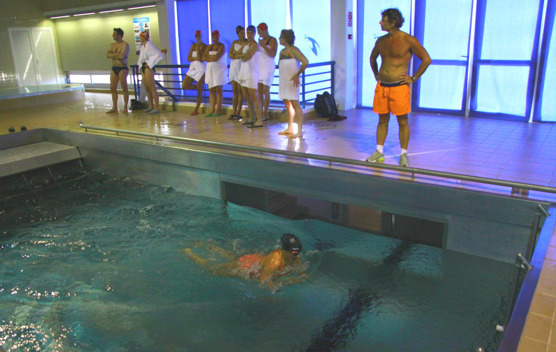 In accordance to this you will have a great opportunity to improve your technique by swimming in the unique "Swim-Flume", get in shape for the summer and get to know other adult swimmers from different countries. The gym facilities and equipment are a dream come true, enjoy spectacular views while improving your physical condition in an environment of total comfort. 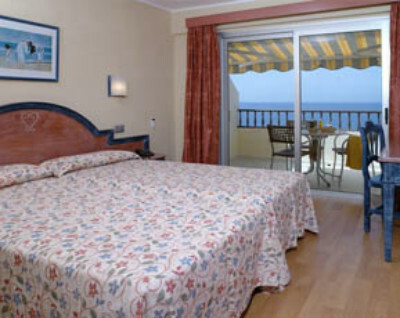 Boarding is at a nearby hotel called Jardin La Caleta, delightfully situated about 40 meters from the sea The aparthotel is located within walking distance, right on the front of La Enramada beach. All rooms are equipped with independent lounge and sofa bed, kitchen with hob, toaster, etc, bathroom, satellite TV, phone, safety deposit box (at an extra charge paid locally), and terrace or balcony. The Jardin Caleta provides maid service 5 times a week. 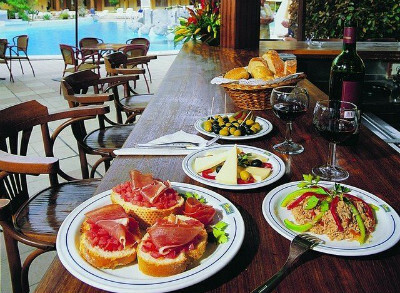 The hotel has a buffet restaurant serving breakfast and international and local specialties for dinner. The hotel also has a pool bar, serving snacks through the day from lunchtime. The lobby bar is the perfect place to unwind in the evening with the entertainment, shows and music. Compared with many other islands Tenerife has a lot to offer. The nature is fantastic and a visit to the vulcano Teide is worth while. The beaches, the shopping in walking distance, the nearby golf courses and the Aqua park Siam offers good alternative on a free day for young and old. In the village Caleta there are several good restaurants and the long strand promenade is perfect for a morning jog or a nice evening stroll to round up the day. Full board pension (Breakfast, Lunch, Dinner) including mineral water or soft drink with lunch and dinner. Daily use of T3 pool according to training schedule. Daily use of T3 gym according to training schedule. Use of T3 flume channel according to training schedule. Transport to Tenerife and home again. 99 Euro in Triple Apartment, full board. 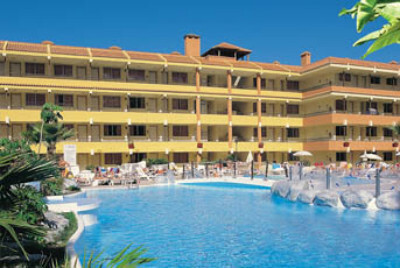 Bring your spouse, or bring your children to spend some time in the sun in Tenerife! Below you will find the price for accompanying persons not taking part in the camp. 7% IGIC local tax will be added to the accompanying prices. 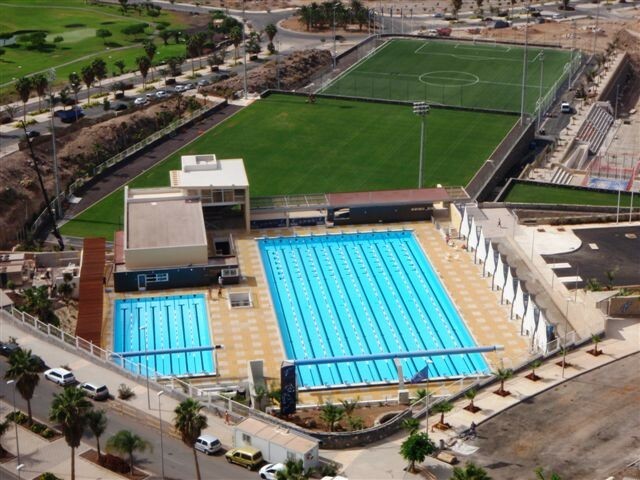 "The first time I went to Tenerife in 2009, I was amazed by this facility! I have been travelling with swimming for the pas 30 years, and this must be one of my top three swimming facilities I have ever visited! Apart from that Tenerife has a prefect climat for arranging Swim camps in. With more than an average of 300 sunny days a year, it is the perfect place to go and have nice sunny and warm weather all year round. 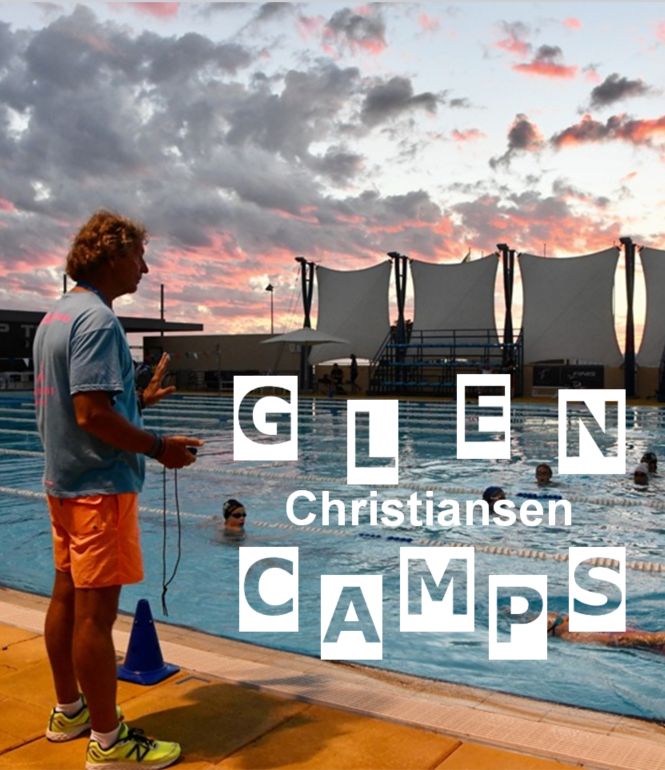 I have now arranged over 50 camps here and I still love to come back and do enjoy to set up my swim camps here."